To advance science and improve human health, NIH makes the peer-reviewed articles it funds publicly available on PubMed Central. Manuscripts will be made publicly available no later than 12 months after the official date of publication. When an investigator funded by the NIH produces a manuscript, federal law requires that an electronic version of the final, peer-reviewed manuscripts resulting from NIH funding be submitted to the National Library of Medicine's PubMed Central upon acceptance for publication. These manuscripts will be made publicly available no later than 12 months after the official date of publication. The NIH shall implement this public access policy in a manner consistent with copyright law. Principal Investigators (PIs) and Program Directors (PDs) must use My NCBI's online portal My Bibliography to manage their bibliographies. Citations must be added to My Bibliography to ensure that they appear in eRA Commons and thereby become associated with future annual progress reports. My Bibliography helps users address NIH Public Access compliance by assigning the appropriate NIH grant(s) with publications and expedites and facilitates their deposit into the National Institutes of Health Manuscript Submission System (NIHMS). The PI is responsible for depositing into U-M's Deep Blue, an institutional repository that provides access to published and unpublished work by U-M faculty and students. Work deposited in Deep Blue will be crawled by Google and other search engines, preserved over the long term, and made available at a permanent URL. The PI will also do the final approval of the deposit with NIHMS. NIH My Bibliography My Bibliography is a reference tool that helps you save your citations directly from PubMed or, if not found there, to manually enter citations using My Bibliography templates. NIH Public Access Policy The NIH public access policy requires scientists to submit final peer-reviewed journal manuscripts that arise from NIH funds to PubMed Central immediately upon acceptance for publication. NIH PubMed Central PubMed Central® (PMC) is a free full-text archive of biomedical and life sciences journal literature at the U.S. National Institutes of Health's National Library of Medicine (NIH/NLM). 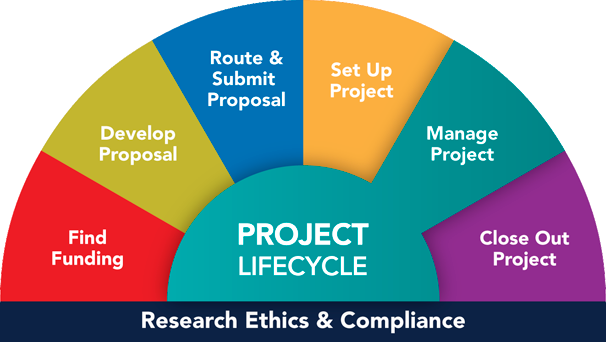 NIH Public Access Policy Process Map 101 (U-M Library Research Guides) This downloadable PDF provides a visual step-by-step process map to simplify the compliance process.